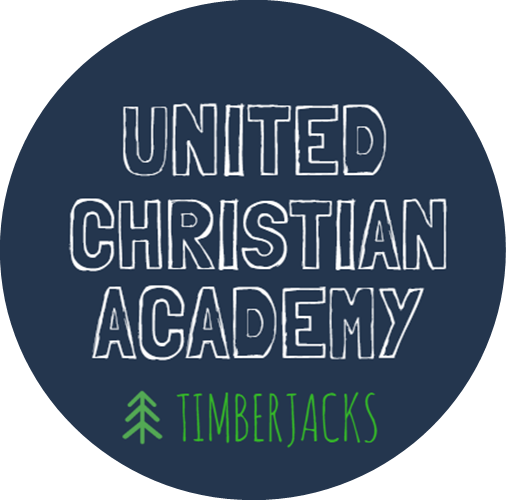 At United Christian Academy, we see a quality education as an important key in the process of breaking the cycle of poverty and transforming broken parts of our city into flourishing communities. Therefore, our goal is to see our scholars on a different trajectory than the one their zip code dictates. We believe that while Jesus is the linchpin to transformation, an excellent, high-quality education is a vehicle to a myriad of life options we believe our students deserve and are capable of. Our academic program includes Biblically-rooted instruction, individualized literacy and math interventions targeting student gaps, Christian discipleship and nurturing, and life skills development. Over the last two years, we have seen our students blossom and take ownership of their learning! And the results have been incredible to witness! Not only have we seen significant personal development (i.e., growth in social skills, life skills, conflict resolution, and personal responsibility) in our students, but they are also visibly healthier and have made important strides academically. At UCA, we are always assessing student growth, because most of our students come to us with significant learning gaps and we know it is critical to close them. ReadingPlus and STAR allow us to track growth in key literacy skills. All students complete the Iowa Assessments test at the end of each school year. The average growth for returning UCA students for each subject was 1.5-2 full grade levels from May 2017-May 2018. 90% of returning UCA students grew TWO complete grade equivalency levels in Science and Social Studies. 3 out of 6 students grew 1.5-3.3 full grade levels in their math skills from May 2017 to May 2018. 50% of returning UCA students grew 2 grade levels in Math Skills in only on year. One student’s National Percentile Ranking increased from 21 percentile points in just a single year! View mid-year reading results here. Students gained an average of 1 year in their reading level in the first 5 months at UCA. End of year testing revealed half of UCA’s students gained 2.5-3 full grade levels in their reading skills. Multiple students completed 2 years of math curriculum in a single year and 60% made a perfect score on the Iowa Assessments computation test. We are truly closing their gaps! It brings us great joy that we can not only celebrate and encourage students who have shown gains in reading or math skills, but we can also make a big deal out of the fact that we’ve seen them grow in Christlikeness. We regularly stop and zoom in on a child who’s shown a level of self-restraint, care, or kindness that is an obvious sign of growth. And this also presents a tremendous opportunity for praise. We know that the kinds of things that we see happening in our students are not simply academic gains, but the wonderful works of an almighty and loving God.